Part of a historic building where the British flag was first raised in the Maltese Islands during the uprising against the French was demolished in the past few days, but prompt action stopped works before more serious damage could be caused. 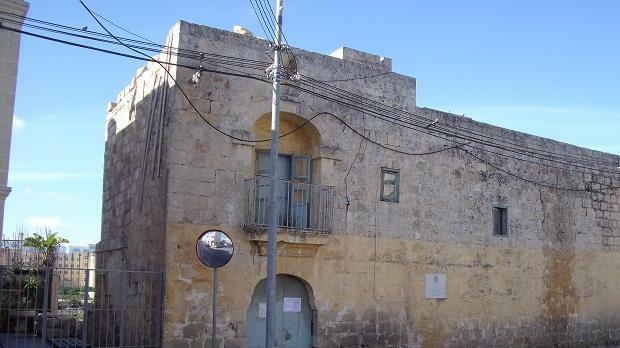 The Dun Filippu Borgia society of Birkirkara said this afternoon that its officials were alerted to the demolition of part of the historic farmhouse in St Julian's Road, San Gwann. They confirmed that demolition was underway at the back part of the building and immediately informed Mepa, which issued an enforcement notice and stopped the works. The farmhouse was the headquarters of Vincenzo Borg Brared, one of the leaders of the Maltese when they rose against the French in 1798. He led the Birkirkara Battalion. It was from that building, which at the time had a clear view of Valletta, from where Brared coordinated his operations with the British and where the British flag was raised in Malta for the first time. The society said the building was a grade one scheduled structure. A permit had been issued for its renovation and extension. "The work, however, went beyond this and some rooms and walls were demolished," the society complained. The Dun Filippu Borgia society has the preservation of cultural heritage among its aims.